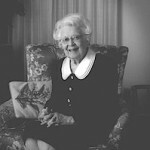 Evelyn Sponberg Young, belovedly called "Ma Young" for decades at Gustavus Adolphus College, died Thursday, Sept. 29, 2005 at home in Edina. She was 93. The 11th Annual Chicano/Latino College Fair will be held at Gustavus Adolphus College on October 14, 2005. The purpose of the College Fair is to empower Chicano/Latino students throughout the Region Nine Area to pursue post-secondary education.